Everybody loves desserts. The sweet and tingling sensation after every bite of your favorite chocolate cake or a sip from your favorite caramel drink will make you wanting for more. For this reason, some people acquire diabetes because they do not know how to control themselves in consuming these delectable sweet courses. In result, they end up guzzling several medicine for diabetes to help them maintain their sugar level. Given the fact that desserts are restricted to diabetic people, this does not mean that they should skip and forget sugars entirely. People with diabetes should just regulate their sugar intake. 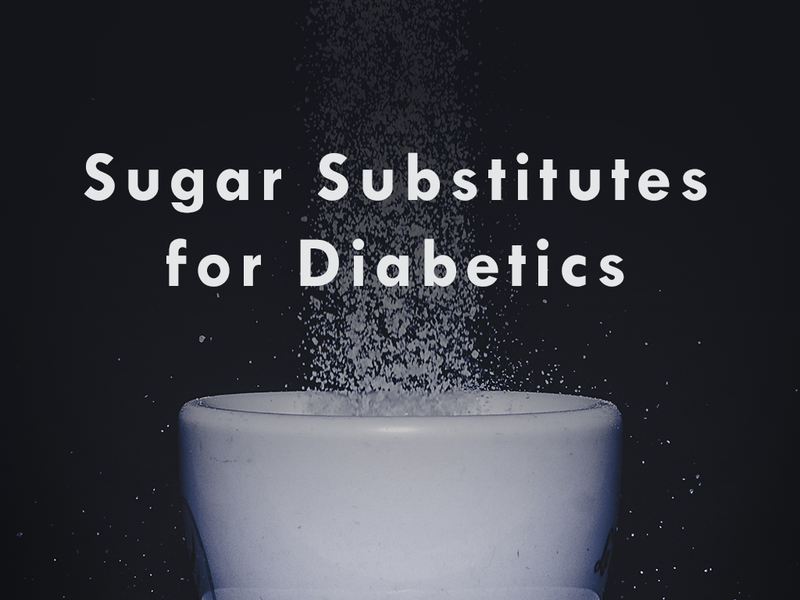 Thus, there are a few sugar substitutes, or artificial sweeteners, that every diabetes person can take without the fear of getting a high sugar level again. Widely known as Acesulfame K, this sugar substitute that was accidentally discovered by Karl Clauss and Harald Jensen in 1967.Acesulfame K is a calorie-free artificial sweetener which is 300 times sweeter than any regular sugar. In fact, this sugar substitute is known to be one of the ingredients in making ice creams, candies, and canned goods. Additionally, Acesulfame K is also used in baking and other products that requires a long shelf life because of its heat stability. Though this sugar substitute may be sweeter than a regular sugar, it has been proven that Acesulfame K intakes has no effect on blood glucose levels, which is perfect for the sweet lovers that has diabetes. This sugar substitute was discovered by James M. Schlatter in 1965. With the help of Torunn Atteraas Garin, the two worked together to develop aspartame as an artificial sweetener. Aspartame, on the other hand, is 200 times more sweet than table sugar. 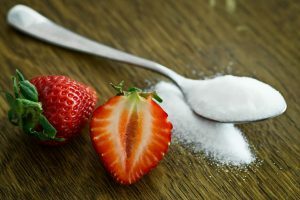 It was first used for dry goods and carbonated beverages, but certain reactions to this substance made this as one of the sugar substitutes that can cause a serious damage when taken on an excessive manner. Neotame is a sugar substitute that is 7, 000 to 13, 000 times sweeter than your table sugar. Although it has a high sweetness level, this substance does not accumulate to the body.This artificial sweetener came from Aspartame, however, it has a lower level and much stable than Aspartame. This substance is commonly used in cereals and candies. This artificial sweetener is 300 to 400 times sweeter than table sugar, but has a bitter aftertaste. Saccharin is the sugar substitute that is highly recommended to diabetic people.It was produced in 1879 by Constantin Fahlberg, which makes it as the oldest existing sugar substitute. Saccharin is used to sweeten products like drinks, candies, cookies, medicines, and toothpaste. Stevia is the only sugar substitute that is extracted from leaves of plant species, making it as a natural sweetener that is 150 times sweeter than sugar.It was first used by the Guarani people of South America. In Brazil and Paraguay, Stevia was commonly used as a medicine and a sweetener for local teas. In present day, Stevia is used in soda products and food products. Last but not the least, Sucralose is both a sugar substitute and an artificial sweetener. It is 300 to 1, 000 times sweeter than sugar itself. Like Acesulfame K, Sucralose is commonly used in baking due to its heat stability. Sucralose is usually the one that is used as sweeteners for coffee or tea, rather than your regular sugar. These artificial sweeteners can also be utilized by everyone who wants to cut down, monitor, and maintain their sugar level, though these are much recommendable to diabetic people. Though this may be a sugar substitute, proper and controlled intake is still cautiously suggested to them since these still contains sugar.